SEO has changed a lot in recent years. It used to be about including the right keywords and clawing your way to the top by creating tons of content around those keywords—and that might have been enough back then. Now, ranking first really depends on a holistic approach to SEO. Everyone on your marketing team should know how SEO affects the work they produce and understand how search engine’s “think” when they match searches to content. It’s no longer enough to hire an agency and take a hands-off approach. Modern SEO touches everything in your marketing strategy and plays a huge role in how customers and prospects interact with your brand. If your team creates content and campaigns with SEO in mind, each piece of your strategy provides more value and answers the questions people ask. In the end, SEO is not just a marketing strategy. It’s a business strategy. 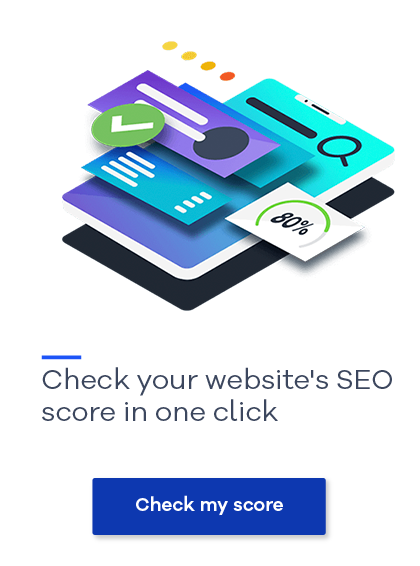 Learn more about Siteimprove's SEO capabilities and compare us to other solutions on G2 Crowd.